The church, built near Japantown in 1906, is being rebuilt and plans to open its doors next Easter. Friday marks a somber anniversary in San Jose. 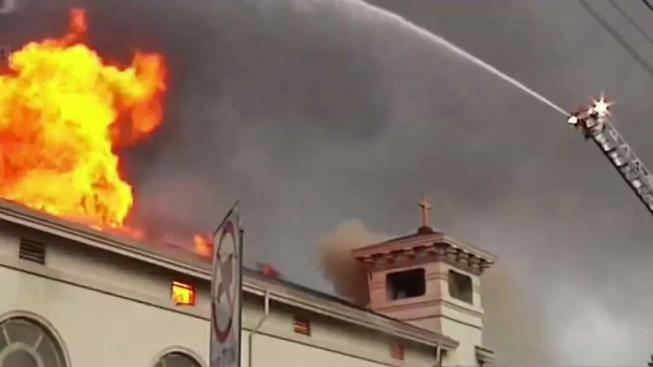 Three years ago, the century-old Holy Cross Church burned down, and, to this day, no one knows what caused the fire. Today, the church, built near Japantown in 1906, is being rebuilt and plans to open its doors next Easter. The new parish will have an old-world flavor with a lot of modern upgrades. The church and the diocese hired the Topa Architectural Firm to bring their parish back to life. Among all the rubble, one of the few things that survived the fire was a century-old, Italian wooden cross which appeared to be untouched by the flames. As of now, the Bishop has signed off on a design and the new church will include a lot of steel to keep it from burning again.